Bichler, Shimshon and Nitzan, Jonathan. (2017). 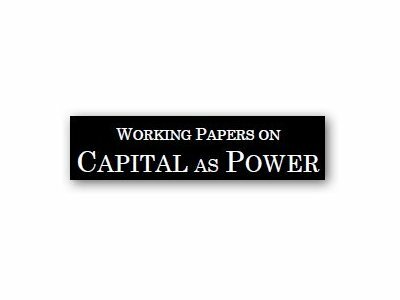 Working Papers on Capital as Power. No. 2017/02. July. pp. 1-59. (Article - Working Paper; English). According to the theory of capital as power, capitalism, like any other mode of power, is born through sabotage and lives in chains – and yet everywhere we look we see it grow and expand. What explains this apparent puzzle of 'growth in the midst of sabotage'? The answer, we argue, begins with the very meaning of ‘growth’. Whereas conventional political economy equates the growth with a rising standard of living, we posit that much of this growth has nothing to do with livelihood as such: it represents not the improvement of wellbeing, but the expansion of sabotage itself. 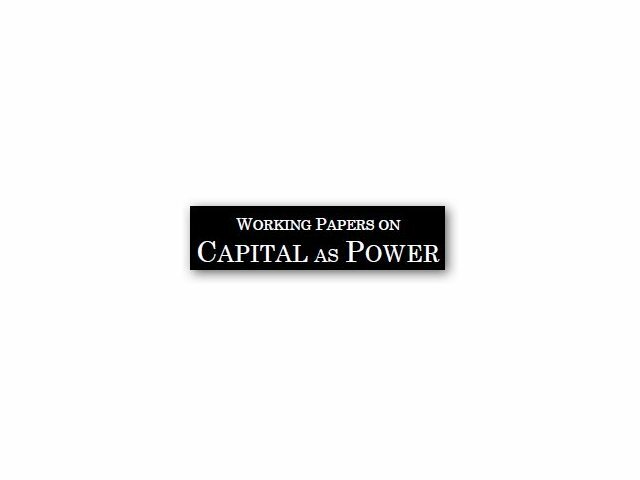 Building on this premise, the article historicizes, theorizes and models the relationship between changes in hierarchical power and sabotage on the one hand and the growth of energy capture on the other. It claims that hierarchical power is sought for its own sake; that building and sustaining this power demands strategic sabotage; and that sabotage absorbs a significant proportion of the energy captured by society. From this standpoint, capitalism grows, at least in part, not despite or because of sabotage, but through sabotage.